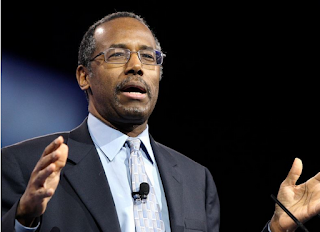 World's most Famous Neurosurgeon, Dr Ben Carson has traced his roots back to Kenya. During a speech that he gave, Dr. Ben who is currently running for the presidential sit revealed that his great grandparents came from the Turkana tribe in Kenya. The author of 'Gifted hands' was speaking about slavery when he made the interesting revelation. Ben Carson is currently vying for the the Republican Presidential seat in the coming US presidential elections next year. Ben Carson is the second famous person from the US to have his roots from Kenya after President Obama. No slaves from kenya were brought to America. Most slaves came from the west coast of Africa. Turkana slave is unheard of...so not true!! !